Every year, it seems like a young whipper snapper comes out of nowhere to surprise everyone with their abilities and talents. We generally form favorites based on the previous year's results, which bring expectations for the upperclass girls and boys. Yet, it never fails that a ninth grader comes up and throws a wrench in our expectations and the upperclassmen hopes for state titles. For example, last season, two Central Texas freshman girls ran very fast and won state track and field titles. Marble Falls freshman Bailey Goggans won the UIL 5A state 800m championship and Llano freshman Anna Casey won UIL 4A 800m and 1600m state titles. 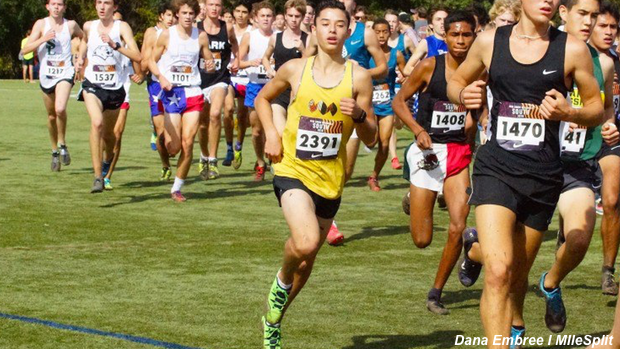 Based on the 2018 cross country season and the 2018/2019 indoor season, we have enough information to be aware that who some of the possible freshmen are who could win state titles this season. The first freshman on the list with a chance to win a state track and field title is the only male on the list. Miller Grove distance star Isaiah Billingsley. The youngster really had a heck of a cross country season as he ran superb times, his 15:43.08 PR ranked him as the fastest freshman in the state and the fifth fastest freshman in the nation in the 5K. Billingsley had several wins throughout the season and ran tough in competitive races. He did not have the ending that he would have liked at the UIL 1A state meet, as he had hopes of winning an individual state title. Things still worked out in championship form as his team was able to defend their team title. Billingsley was also able to gain valuable experience about competing on the high school level. Track season will bring new opportunities to win state tiles as a freshman. During the indoor season, he ran a 4:40.20 in the mile at the Texas A&M High School Indoor Classic. Billingsley couldn't have entered high school at a better time. With the graduation of Jake Merrell and Austin Zirkel, two 1A distance running legends the 800m, 1600m, and 3200m races are wide open at the state meet for the first time in a long time. Canyon freshman, Breanna Stuart is much like Billingsley, who had a heck of a cross country season and a chance at a state championship. She got that title, but it was also as the team title and not an individual. Stuart just missed out on her XC 5k individual title by less than 2 seconds. Stuart's freshman season was impressive, but just came up short to last year's outstanding freshman Anna Casey. Casey out sprinted Stuart to the the finish line fo the UIL 4A title. 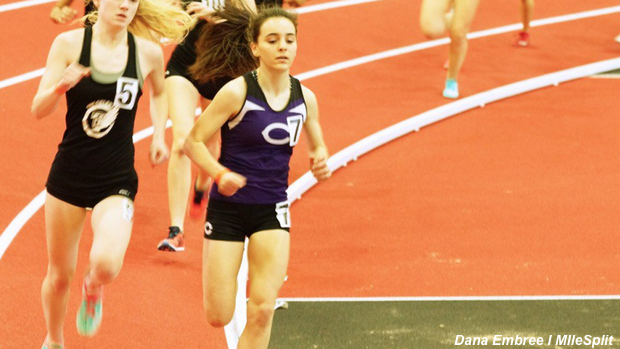 Stuart will be in a tussle once again with Stuart likely for the 1600m championship match up, that's if Casey holds up to last year's agenda when she competed in the 800m and 1600m. With Casey's XC win, that shows she has the range to shoot for the gusto and add the 3200m for the track distance triple crown and a sweep of the championships in XC and the 800m - 3200m. Nevertheless, Stuart is off to an early start as she dusted her spikes off when she ran in the Texas Tech Under Armour High School Classic with second place finishes in the mile (5:29.84) and the 3K (10:54.63). She will have a couple of chances at getting a state title. Woodsboro has itself a freshman vaulter that is GOOD. Coscetti is off to an amazing start for a freshman with her indoor performances. She has two really good jumps on her record already and the year has just begun. Those two jumps have the pole vault community buzzing with her potential. She has a 11-0 vault and a ridiculous 12-10 when she won the Arkansas High School Invitational two weeks ago. That 12-10 jump has her ranked #1 in Texas and #9 in the nation. Coscetti has a good chance to become Woodsboro's state champion pole vaulter as just a freshman. Just one small problem. Woodsboro already has a state champion pole vaulter with the 2018 UIL 2A pole vault champ, senior Skylar Hall. Training with the state champ gives her an even bigger advantage over the other girls and gives Woodsboro an even better chance at getting another pole vault state champion between the two. The Austin area TAPPS from St. Dominic Savio star has already made us notice and mention her talents in this short 2019 calendar year with her performances. However, that just made her break out even more. Murphy has continued to dazzle spectators with her abilities at her young age. She has lowered her indoor PRs week by week, finally settling on 56.05 in her last race at the Texas Tech Under Armour High School Classic. The 400m definitely looks to be where she will do her damage this year as she definitely has the chance to win a state title. Murphy has already run faster than any time it took to win last year's six TAPPS 400m titles. To go along with her 400m prowess, Murphy has shown she has some serious leg speed as well. At Tech, she dropped a 7.68 on her way to the finals. Murphy may run her way to more than just a 400m state title. Every now and then freshmen like the ones on this list are blessings to coaches and teas as they provide boosts with talent that expedites the learning curve. Quinones-Mixon is exactly one of those. She walked through the Reagan High School doors as a National Champion. Last summer, she won the AAU National Championships in the 14 year old pole vault competition with an 11-5 vault. This indoor season, she has cranked things up by climbing the sky higher than she ever has with 11-10 and 12-1.25 jumps. 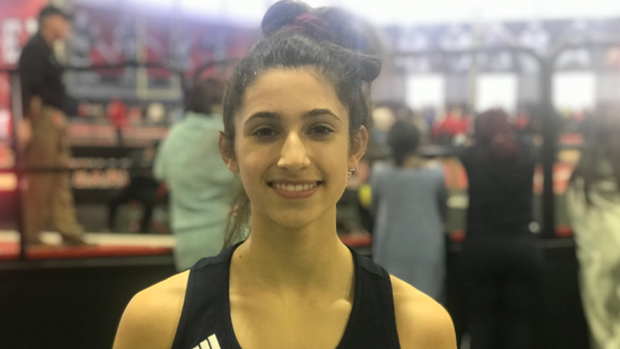 The 12-1.25 makes her a top 5 vaulter in Texas and top 30 on the national listing for the 2019 indoor season. Things look promising for her to make it to the state meet, but the UIL 6A division is loaded with girls that can really climb the sky. At the least, she'll have to knock of the defending champion and possibly the best vaulter in the country in Mackenzie Hayward from Marcus as well as fellow Region 4-6A competitor Lexie Leinneweber of New Braunfels who is the second best returner from last year's state meet. Anything can happen in the pole vaul. It doesn't matter who you are and how good you feel, so with the heights she has proven she can get up to, Quinones-Mixon could definitely be in the mix on May 11th.